The flashiest new development in the IT field over the past half decade or so has been the introduction and expansion of cloud computing. The cloud can provide various software platforms to businesses and individual consumers alike, offering flexibility and accessibility. But what those who have championed the cloud's virtues have neglected to address is the growing concern regarding cybersecurity problems associated with the technology. Storing data electronically always leaves a company at risk of being attacked by hackers, but with the cloud, this issue is decidedly more pronounced. On-premise data storage centers generally employ personal servers that, while still susceptible to being breached, are at least under direct supervision of company IT workers. Cloud computing, on the other hand, exists in massive data centers that are maintained by the provider. Servers are shared between subscribers to best maximize value, but this leaves each user far more vulnerable. If a single company or person is targeted by hackers and their data is attacked, all the other stored information on that server will be stolen, as well. Cloud users can be indirect victims of cyberattacks, which greatly increases the odds of being hacked. Network World contributor Jon Oltsik wrote that the number of cloud users is steadily growing, which does not bode well for cybersecurity. Oltsik cited research conducted by his employer, Enterprise Strategy Group, that found that 68 percent of mid-market and enterprise organizations use the cloud for Software-as-a-Service functions. Oltsik noted that while the concerns regarding the cloud have changed, they certainly still exist and are perhaps even more worrisome. While in the past, IT industry experts fretted over the very concept of cloud security, that issue has largely been resolved. Currently, however, the problem is now in relation to actually implementing cybersecurity initiatives in practice. 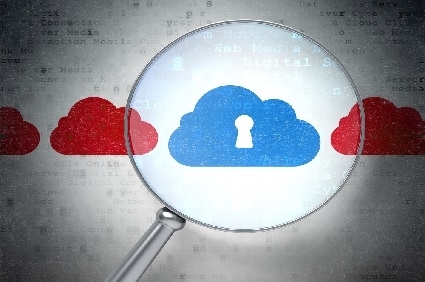 Enforcing security policies and monitoring activities in the cloud is difficult, and has been the source of much anxiety throughout the industry. The ESG research found 32 percent of professionals indicated that coordinating security operations consistently was troublesome. One of the frequent pitches that cloud enthusiasts make, other than data storage flexibility, is the alleged eco-friendly nature of eliminating paper from your office. However, Alen Peacock, the founder of cloud storage startup Space Monkey, argued in a Forbes articles that this notion is simply a lie. The power consumed by data centers is far more harmful to the environment than using paper in the office. Peacock noted that the total energy used to power cloud servers exceeds that of all but four nations in the world – the United States, China, Russia and Japan. Peacock also advised that the cost to fuel these data centers is astronomical. Eventually, he said, these costs will be relayed to the customer. If a cloud provider has control over your data, it has quite a bit of leverage in terms of pricing. Since you will naturally want to keep your important information secure, the provider has the ability to fluctuate prices as it sees fit. The cloud has gained traction so quickly in the business realm that the technology might be ahead of its time. IT professionals admit to being overwhelmed by software associated with it, and providers have yet to figure out ways to keep their data centers from having an extremely negative environmental impact. Given all the complexities and potential risks that inherently come with the use of cloud computing, businesses might be better off sticking with a tried and true method of data storage – paper! Physical documents are not at risk of being hacked, and the paper industry is actually quite sustainable in terms of its reforestation efforts. While the cloud is certainly a tantalizing new technology with great potential, there are too many issues that have not been resolved. In the coming years, the continued growth of this phenomenon will be largely dependent upon whether or not developers can address security and environmental issues. If these are problem that do not seem to have an accessible remedy, it is not hard to envision a major shift back to traditional methods of storing important information and documents.